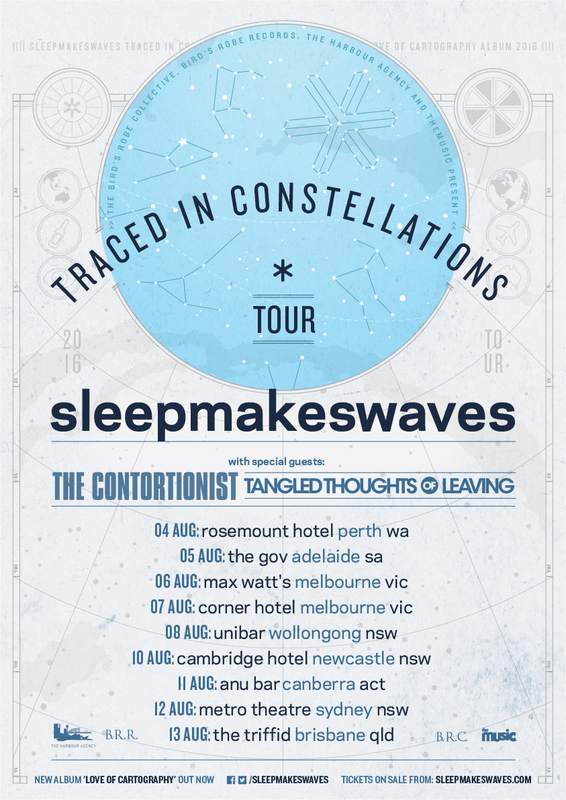 We’re very excited to announce a headline tour of Australia with our friends from the US The Contortionist and our brothers from Perth, Tangled Thoughts of Leaving. This is the last headline tour for the ‘Love of Cartography’ album cycle before we go in to record new material. It’s also the tail end of the 50+ date tour for ‘traced in constellations’ – so we hope you can come out to celebrate all this with us. Copyright © 2014 Spidr Pty Ltd All rights reserved.